Arduino will be making some big announcements tomorrow at the Maker Faire Bay Area (May 18th, 2018). However, Electromaker can exclusively reveal to our readers that this announcement will include two new boards aimed at the maker community. Arduino has been fairly quiet in recent years. In recent months we have seen a number of boards being retired and then relaunched, but there are still surprises in store. Two new boards: a second revision of the Arduino Uno WiFi, featuring the ATmega4809 microcontroller and the ESP32. This means it can now be used for wireless connectivity and is all wrapped up in the standard Arduino Uno form factor. The biggest news was a new VIDOR 4000 MKR format board. 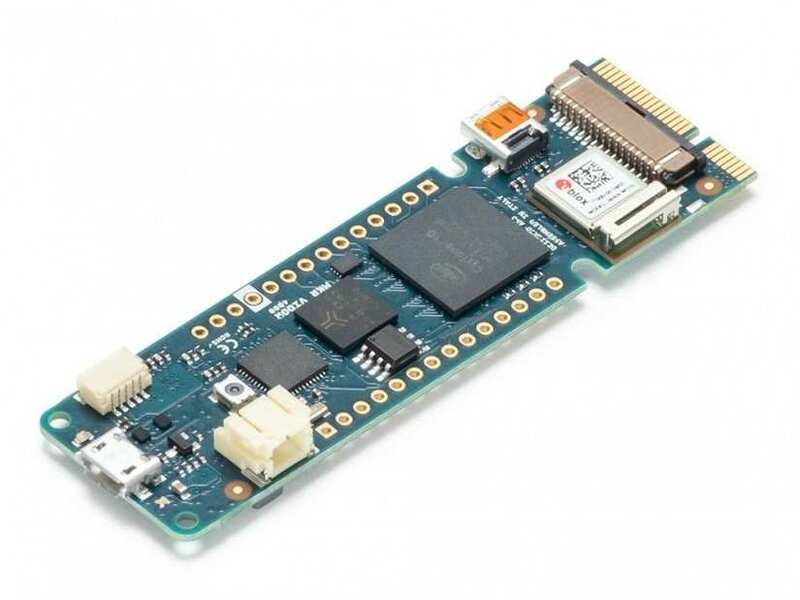 This board can quite literally be anything you want it to be, thanks to an FPGA (Field Programmable Gate Array) that can be instructed to behave like many different processors. With this new feature, Arduino has created one board that can truly adapt to the needs of the maker. The VIDOR 4000 also features the same wireless package as the Uno WiFi Rev 2, so this board is ready to take the Internet of Things by storm. All we need to know are the prices, but at this time they are still under wraps. Be sure to stay tuned as we will reveal this in due course. For those that want to know more, below are the specs for each board and a few photos. 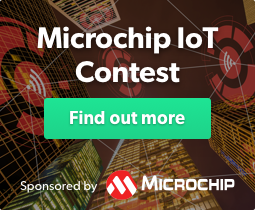 Microchip ATECCC608 CryptoAuthentication hardware-based security. FPGA (Field Programmable Gate Array) that can be programmed to act as a custom processor. U-blox Nina W102-00B WiFi connectivity. VIDOR 4000 PRICE - ACCESSIBLE! But no firm price! The price will be a shock though! With the news of two new Arduino boards being announced at Maker Faire Bay Area, we sat down to talk with Fabio Violante, CEO of Arduino, and Sander Arts, CMO of Arduino to talk about the past, present and future of Arduino. LP: The Arduino is synonymous with the maker movement, and is credited with kickstarting the worldwide maker community. Could you have imagined the worldwide impact that this board would have? FV: I don't think that the founders of the Arduino project could have imagined the impact of this little board. It was made to simplify the life of teachers that were teaching design and while doing this job they made something exceptional for the world because people love simplicity and the simplicity of Arduino went beyond their expectations, and by making Arduino open source, hardware and software, it attracted a lot of talent that helped build this movement. But nobody had planned on this level of success. LP: The Arduino has democratised access to hardware. In the past many development boards were proprietary and expensive. However, via the Arduino we have a platform for hobbyists and industry alike. FV: Yeah absolutely, Arduino is all about simplicity, and that is part of our future strategy, driving our energies and the entire company revolves around it. So, of course, makers are important for us, but we are also pushing onward into other areas of the market. SA: If I can add to that, if you look at how enormously large the community is, of people that are connected to Arduino in whatever shape or form, sharing code or building projects together. There are 23 million page views (Arduino.cc) being consumed on a monthly basis and 30 million people visiting on an annual basis. Obviously not all of these people are building the next IoT device but as you can imagine a certain percentage of them are, and we have those people in the community and the big push that we are bringing under the leadership of Fabio is to help people to get into the market by giving them the hardware and software to enable them to build their own IoT/Smart devices. Basically, anything that people are using to change the world/make money or do both. We're taking people by the hand and helping them get there. We have the audience which is the most difficult thing to build. Build hardware isn't hard, as we have proven, but building a community is, of course, something that happens over time but it is very significant. LP: Community is very important to Arduino, but are we seeing more "industrial" uses for Arduino? FV: Yeah, I think the key point is if you look at the original market of Arduino boards there is a large chunk of our products used by medium and large corporations because they are convenient. These are corporations such as Coca-Cola, Apple and Google are using our products. So it is not just makers and educators using Arduino, there are a tonne of companies using the same products. In a strategy that we developed with Massimo, Sander and the rest of the leadership team, basically, we said "Ok, why don't we make it official, and create products and services that can make the lives of people who want to connect devices much easier. Then we stressed the concept of connectivity, because connectivity today is what makes the difference and what makers need. From basic connectivity LAN, WiFi, Bluetooth to much more sophisticated connectivity needs for projects involving long distance control of smart devices. But all of these projects require cheap connectivity, accessible technology, etc. And we are particularly focusing a large part of the strategy on that. LP: In recent time, the Arduino project has closely aligned themselves with the STEAM (Science Technology Engineering Arts Mathematics) movement. Why is STEAM so important to Arduino? FV: That is a very important question, we have an entire division in the company, essentially a company within the company that handles this! We strongly feel that kids should have a path, kids that are not only consumers of technology but kids that are able to understand what they are doing and maybe use their creativity, imagination and abilities to create the next big thing. So the STEM/STEAM movement is the perfect match for what we do. Arduino was born out of education, and a lot of teachers across the world use the Arduino as a single board to teach programming and electronics because it is so simple. We strongly believe that project-based learning is the way to go and that is why we are focusing on more structured programming. 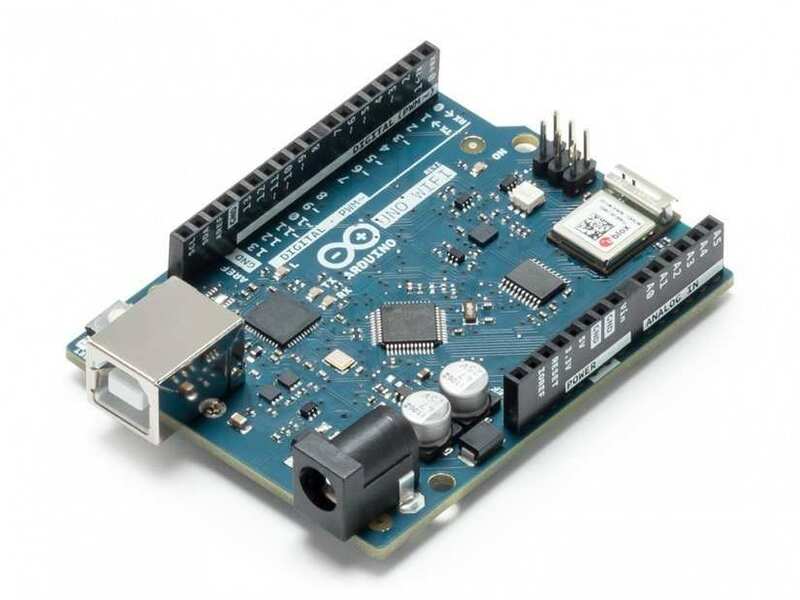 We have a program called CTC [https://store.arduino.cc/arduino-ctc-101-program] an acronym for Creative Technology in the Classroom. It is a combination of hardware, we provide boards and laser cut parts/accessories, and an e-learning platform that has both the students and the teachers in mind. Working with students we have found that often the students are more advanced than their teachers. So, we created a structure for teachers to learn and even be able to learn the content in the morning, and teach it in the afternoon. The other area we are focusing on is that many of the engineering schools curriculum is theoretical, so when it comes to talking about the application of electronics/mechanical engineering, the content is too theoretical. So we worked closely with MathWorks to create a kit for university that we call Arduino Engineering Kit which is a collection of projects, the first edition contains three projects one of which is a self-balancing motorcycle. The kit contains all of the parts to build the projects along with an Arduino WiFi and an MKR board along with a motor shield. LP: The release of the Raspberry Pi and, in particular, the Pi Zero W board has seen a microcomputer priced less than a typical Arduino Uno. Why should users choose an Arduino over a Pi? FV: Using a Linux-based device is not for everyone. I recently experienced this myself as I bought a Raspberry Pi. Although I have used Linux in my professional life for quite some time, it is still painful and complicated, so if you start teaching with it, you need to explain other aspects of the platform, such as SSH access, which many people have never encountered. There is also a security aspect to consider as the Raspberry Pi is a computer and security is an issue if you do not regularly update. So these projects are built and placed in say the backyard, but they then introduce a risk to your home network as the software is not updated. So, on one side, there are security risks and a steep learning curve and, on the other, there are power management aspects of these devices. But these devices serve different purposes as we are doing our best to keep the Arduino technology accessible. But a point that I would like to make is that if we do not have the energy or circumstances to fund the developments that we make, and these funds are generated by purchasing genuine Arduino boards, then we cannot create advances in our technologies. We try to lower our prices, but people have to understand that when they purchase an original Arduino, they are helping to fund the research and development needed to create new boards. 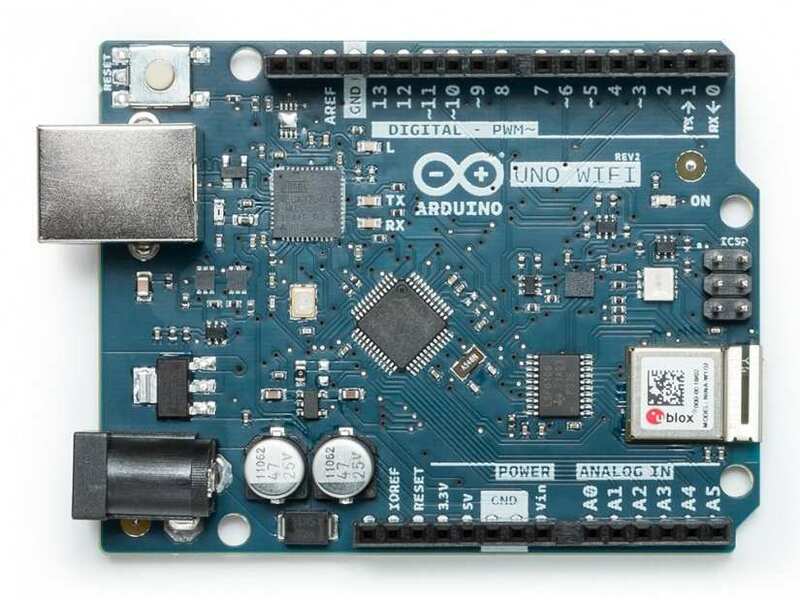 LP: One of the new boards on the horizon is a new version of the Arduino Uno WiFi can you tell us a little more about it? FV: This is not a replacement for the original Uno, rather a second revision of the Uno WiFi. This is an important board for us as people like the simplicity of the AVR technology combined with connectivity. We use the best of the AVR world, Microchip’s ATmega4809 8-bit microcontroller and combine it with what is becoming the standard for us, a u-blox chip with an ESP32 inside of it. The board also features an IMU (Inertial Measurement Unit) which can be used in projects that require sensors. But this board is not a replacement of the Uno, rather a complimentary board for the Arduino family. FV: We are also announcing at Maker Faire, Bay Area (San Mateo California), an evolutionary product. After democratising access to microcontroller technology and the programming of, we are now taking a step further and democratising the world and programming of FPGA controllers (Field Programmable Gate Arrays.) So, we are releasing a new board called MKR VIDOR 4000 that is a combination of an FPGA with the same microcontroller, WiFI and Bluetooth that we have on the new Uno WiFi. The VIDOR basically enables anyone to define their processor, but the nice thing is that it is not all about hardware, the software for VIDOR 4000 means that the board can be programmed in two ways. The first that will be released with the product is the ability to have libraries that embed the FPGA part of the process, meaning that those with zero knowledge of the FPGA can take advantage of this predefined set of configurations. For example, if I want to do a high precision motor controller then I can download the library and create the "personality" of the board for motor control, I can also use the Raspberry Pi camera with the VIDOR as an input and there is a micro HDMI connection for video output, but it will not be a powerful multimedia machine, it is still an FPGA machine in the MKR form factor. The user is free to change the personality of their VIDOR 4000 to suit their projects. The second way to programme VIDOR 4000 will be announced later in the year, but it is basically a visual editor as part of our Arduino Create [https://create.arduino.cc/] environment, where people can define their processor again with zero knowledge of FPGA languages. Basically, they can drag and drop what they need the board to do and then the cloud generates everything that is needed including the library for Arduino that they can then upload to the board and create a custom setup with zero knowledge. FV: This is a new Arduino, and it is about innovating technology and making technology available. We have been "sleeping" for a couple of years for one reason or another, but we are very excited about helping companies that have zero knowledge of technology to connect their devices and become a player in this new world. Never miss an Arduino news announcement again! Sign up for the Electromaker newsletter.